Banish your thoughts of sulphurous, mushy cabbage into yesteryear – barbecuing this majestic vegetable preserves all its lovely flavour and texture whilst adding smoky depth. 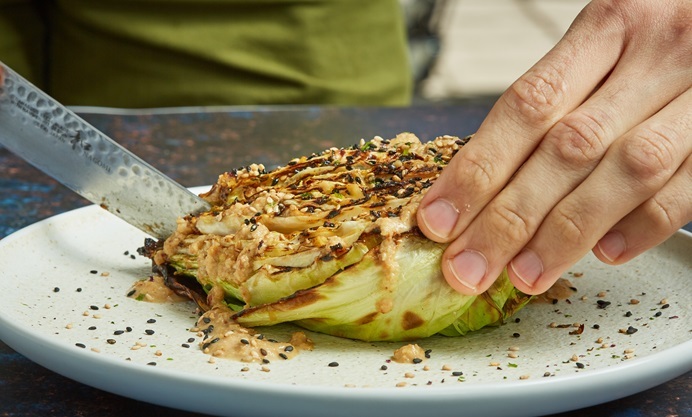 Add in an umami-laden miso butter and a hit of sesame from the goma dressing, and this cabbage is sure to impress next time you have hungry mouths to feed. 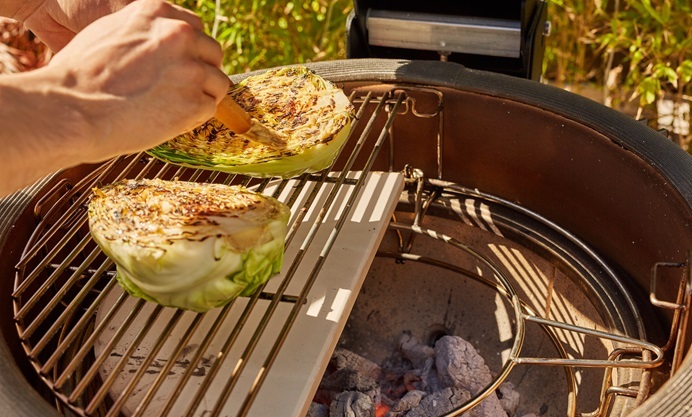 This is a lovely simple way to cook cabbage on the barbecue. 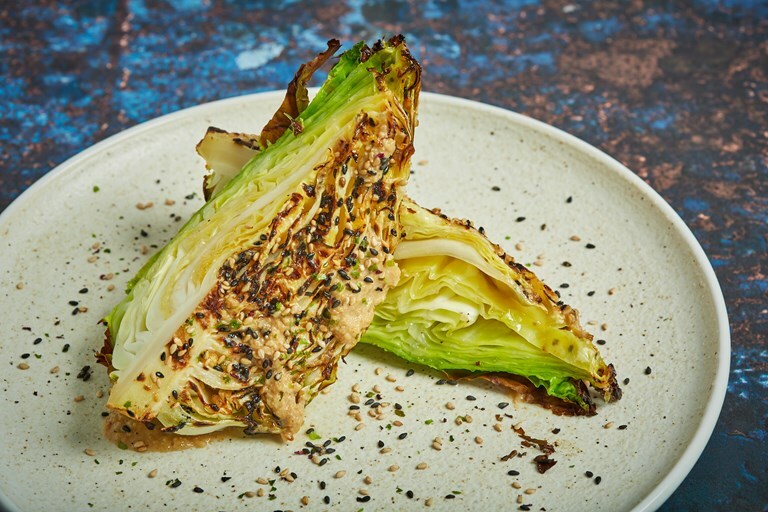 We love barbecuing hispi (sweetheart) cabbages, but this method will work for savoy cabbages too – they tend to be a little more rugged so the cooking time might be a little longer. The principle of the dish is that as your flavoured butter melts, it slides in between the leaves of the cabbage and cooks it from the inside out. We've used a miso butter in this recipe but you could adapt this dish with one of our other compound butter recipes for a different end result.